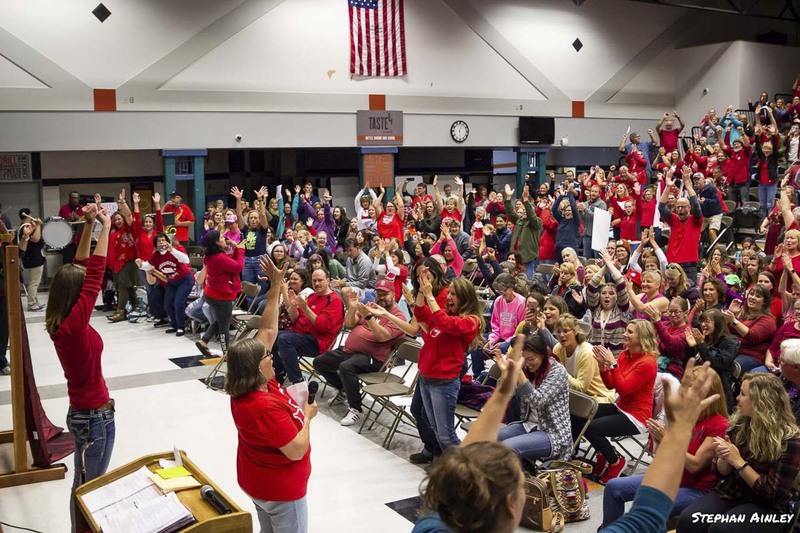 BATTLE GROUND — With classes finally back in full swing in the Battle Ground School District, parents now have something else to debate — how the board went about making up for the 12 days missed due to the teacher strike. On Tuesday evening, the board approved the amended calendar, which will end the school year on June 14, two days later than previously scheduled, with June 17 and 18 set aside as possible makeup days for cancellations due to snow. While the updated calendar keeps the Winter break intact, students will see major cuts to Spring Break, as well as an abbreviated New Year’s break. The full calendar is available here. The board said the changes were made to allow students as much study time as possible ahead of AP exams, state assessments, and college entrance deadlines that occur during the year. The plan also keeps graduation dates unchanged. A number of parents took to social media to express their displeasure at the new calendar. A lot of people pre-plan work vacations to coincide with Spring Break or other weeks off during the school year, and a number said they’ll simply have to pull their children out of class during those weeks, rather than adjusting their own schedules. It is generally up to individual teachers whether to penalize a student for missing classes. Over the past weekend Battle Ground’s 860 certificated educators voted 99 percent in favor of accepting a new two-year contract. The district says it will include an average raise of 14.9 percent this year, with an additional 1.9 percent cost of living increase in year two. A starting teacher in Battle Ground this year will make $48,593, and a teacher at the top of the pay scale will earn $93,731. The number is less than the 19.6 percent the union had been asking for until last week, but in a statement on their Facebook page BGEA says the raise includes all of the McCleary money sent to Battle Ground by the state. The district maintains that the raises may come at the cost of unfunded teachers next year. The vote to approve the contract came one day after BGEA teachers voted 89 percent in favor of defying an order by Clark County Superior Court Judge Scott Collier that they return to work on Monday. On Tuesday, the board voted unanimously to rescind their previous resolution approving legal action against the teachers. Also on Tuesday, the board voted 3-1 in favor of the new contract, with Monty Anderson as the lone no vote. Board president Ken Root recused himself from voting because his wife and son are teachers in the district. The board also released a letter to the community which read, in part “The last three weeks have been difficult for our school district. Everyone — our students and families, teachers and classified staff and community members — has been impacted in some way by negotiations.